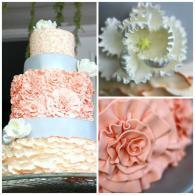 At Heritage Wedding Cakes, we believe your cake should be as vibrant as the occasion you are celebrating! 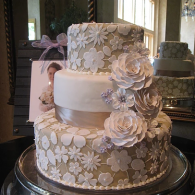 Our cake artists love hearing your ideas and bringing your input to life through exceptionally designed cakes that are not only beautiful, but delectable too! We're here to help you with the process of choosing the theme, flavors and fillings in order to masterfully create a cake that you'll happily show off at the wedding reception. With us, you'll never be disappointed! 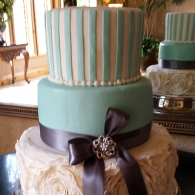 Heritage Wedding Cakes specializes in fondant, buttercream, and chocolate. 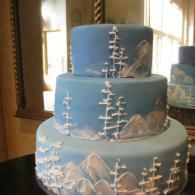 All our beautiful cakes are custom made! No two brides are alike, so why should cakes? Cindy Crump of Heritage Wedding Cakes made the list as one of the best cake designers in Salt Lake City, UT according to Brides Magazine in 2014. We were and continue to be proud of being listed among all the other talented designers in the nation!